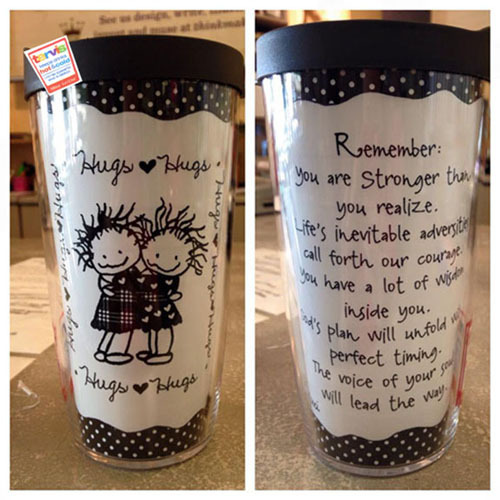 Inspire someone with this tumbler with lid from Tervis, or buy one for yourself to remind you of the simple things in life every time you use it. Remember, you are stronger than you realize. Life's inevitable adversities call forth our courage. You have a lot of wisdom inside of you. God's plan will unfold with perfect timing. The voice of your soul will lead the way.